Finally, WhatsApp releases it's most awaited feature. 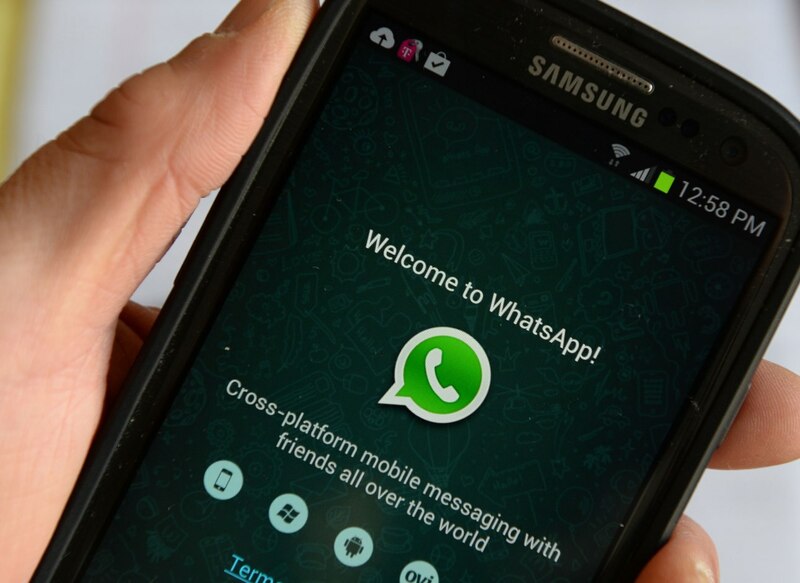 With this you can recall any of your WhatsApp message from anyone chats. This Feature of message recall feature, called Delete for Everyone, to make it easier for you to prevent the recipient from reading your wrongly sent messages. You now have the option to delete the messages in the chat window, not only for yourself but also the recipient of these messages. So, let us see how you can save yourself and delete messages you didn’t intend to send to someone. 1. Open the chat window, long press the wrongly sent message to select that particularly message. Now you will see a set of button on the top of the chat box. Just select 'Delete for everyone' option to recall that message. 2. In doing so, the text within the message bubble on WhatsApp is replaced with a “This message was deleted” for the recipient. And you’ll see a “You deleted this message” tag on your screen. 1. WhatsApp is not giving you complete freedom to delete messages for everyone at any time. You only have 7 minutes after sending the message to take action and choose the Delete for Everyone option. Once the said time frame is complete, you can no longer recall sent messages. 2. The most important thing being that ‘Delete for Everyone’ will only work when the recipient is using the latest version of WhatsApp, which supports the said feature. 4. 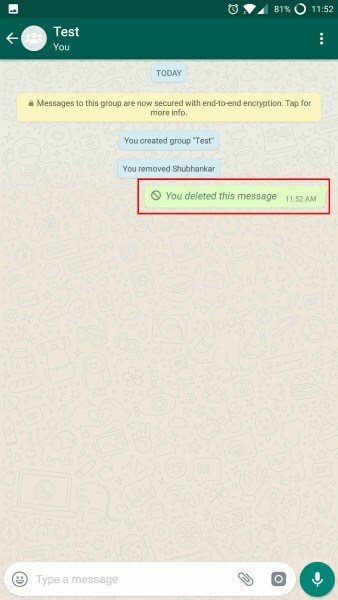 The Delete for Everyone action will also make message notifications disappear. You don’t have to sorry about recipients reading your texts even in the notifications. They will be replaced with the same ‘This message was deleted’ tag. 5. The message recall feature is not available for messages sent in broadcast lists. 6. The message recalling feature is rolling out to iOS, Android, and Windows users. This means your recalling requests for messages sent to Symbian phones and BlackBerry phones won’t work, so you’ll need to be careful not to send them messages mistakenly. So that's all about the WhatsApp new feature. Tell me what's in your mind about this WhatsApp new feature, in the comment section. Please share this post with your friends. Thanks for reading. 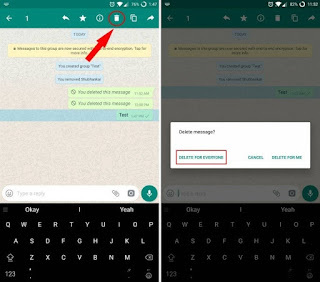 The deleted messages can still be accessed using apps like Notification History or third party launchers like Nova Launcher.